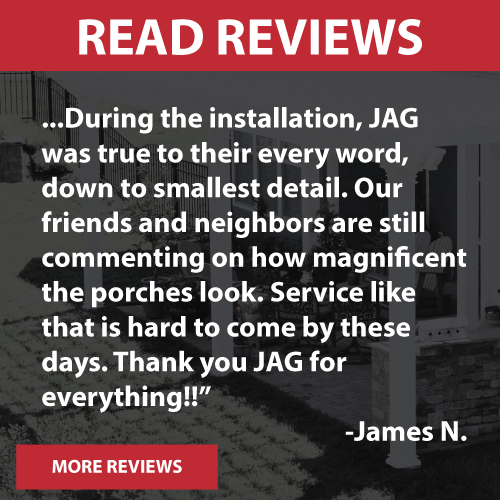 JAG got a call from a Mooresville home owner worried about an old rotted deck high in the air. 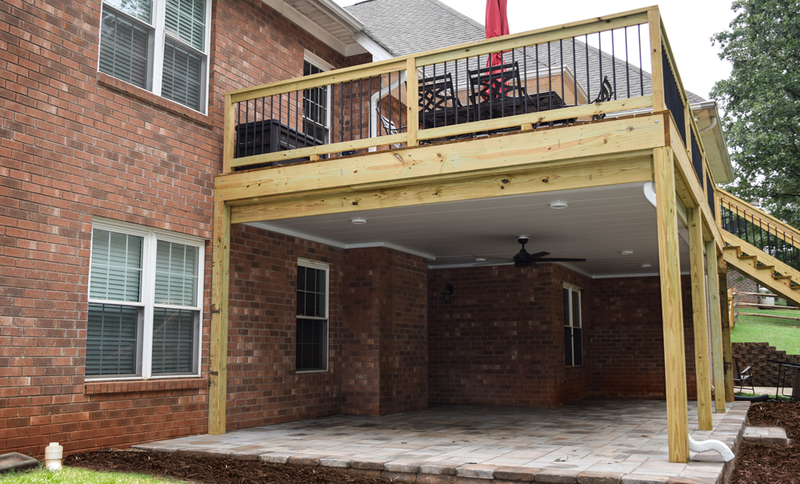 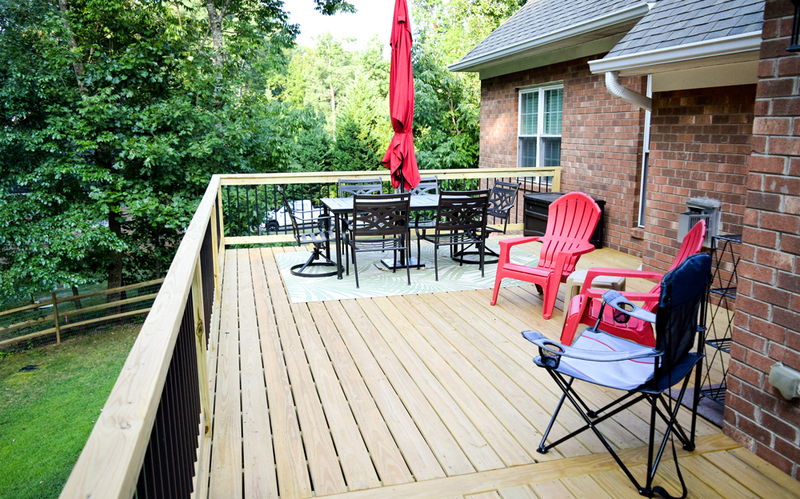 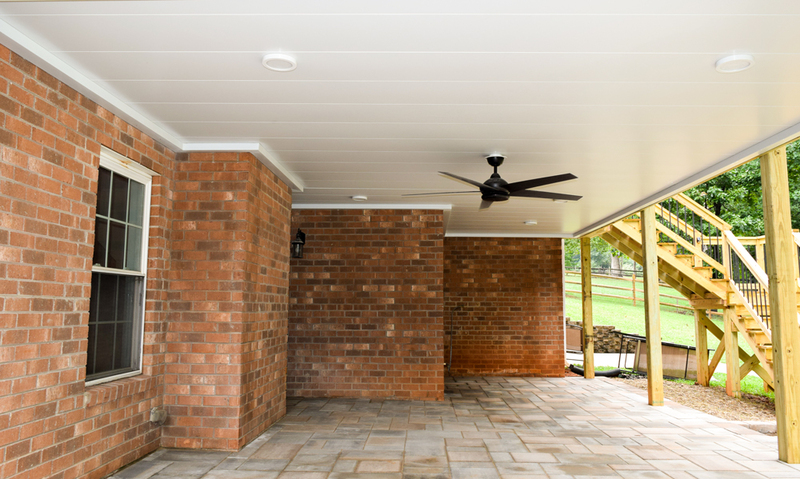 JAG demoed the old rotted deck and built a new deck with fewer posts under the middle of the deck to allow for a covered patio area so the client would have more outdoor living space. 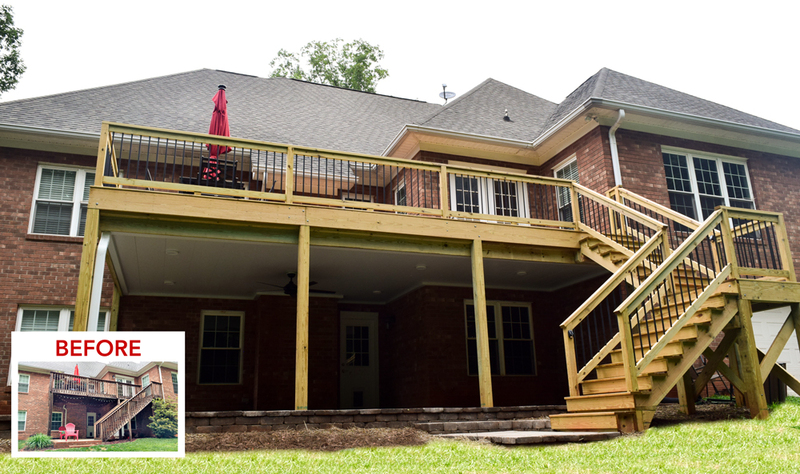 Now the home owners have a new deck coming off their kitchen ready to be stained and installed a water proof ceiling system under the deck for added covered patio space with outdoor can lighting and a ceiling fan finished off with a lower level paver patio.